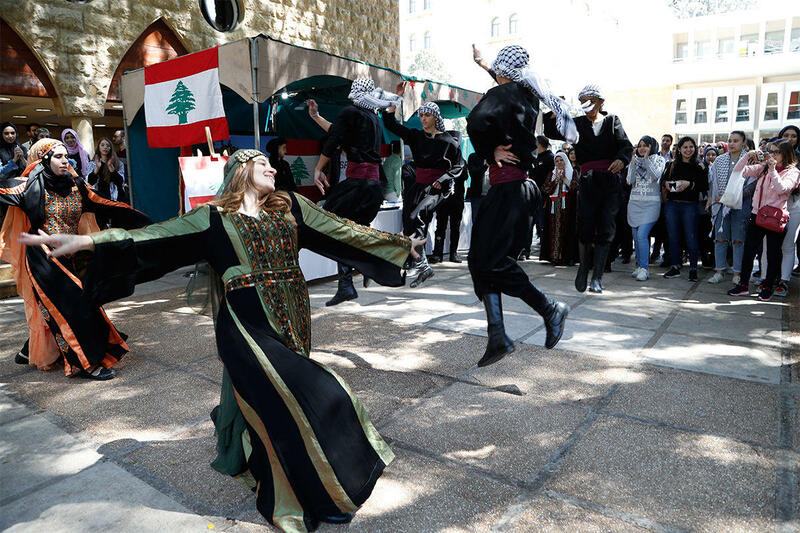 LAU celebrates International Heritage Day with fanfare. The Dabkeh, de rigueur at any international heritage day. 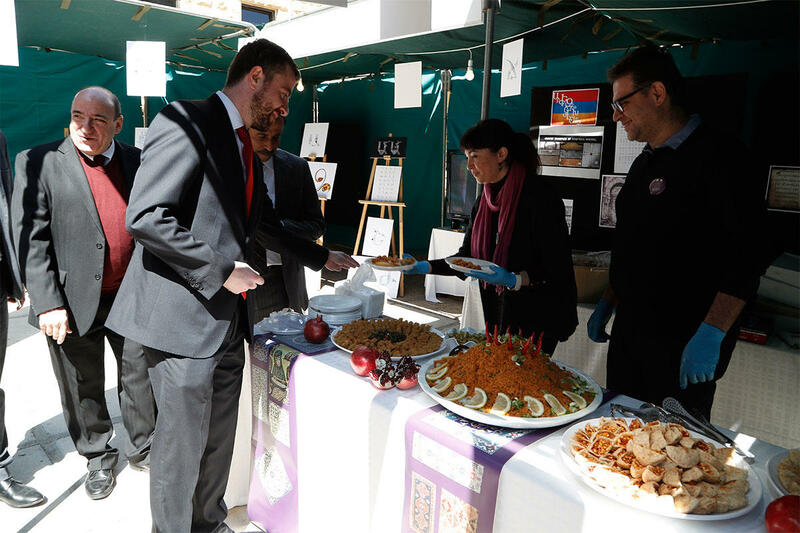 Dignitaries enjoyed the performances and sampled the different cuisines. 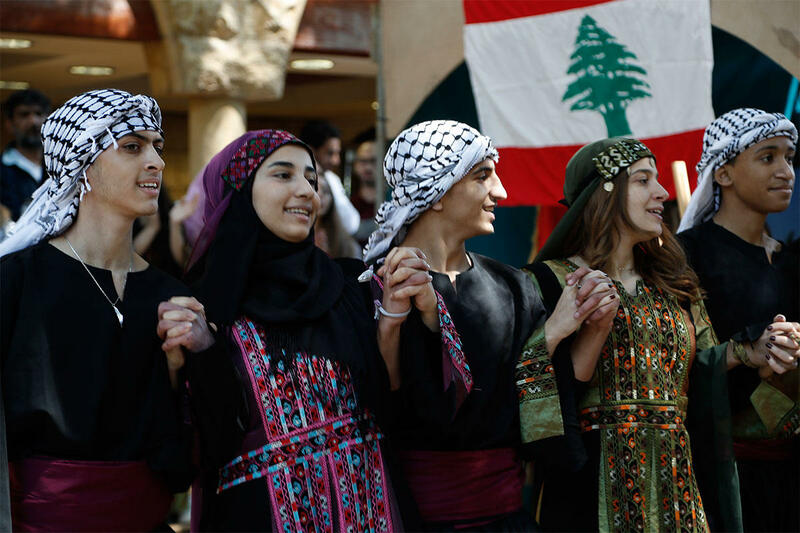 The atmosphere on Beirut campus was charged with energy, in celebration of diversity and tradition. 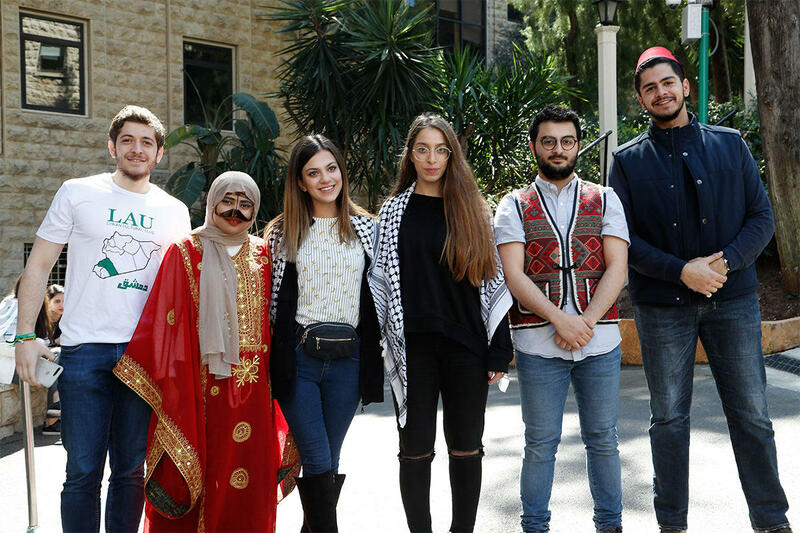 For more than a decade, LAU students have celebrated their diversity and customs at International Heritage Day, a highly-anticipated annual event on Beirut campus. This year’s edition brought together the Syrian, Armenian, Palestinian, Saudi, Bahraini, Japanese, and Citizenship and UNESCO clubs. 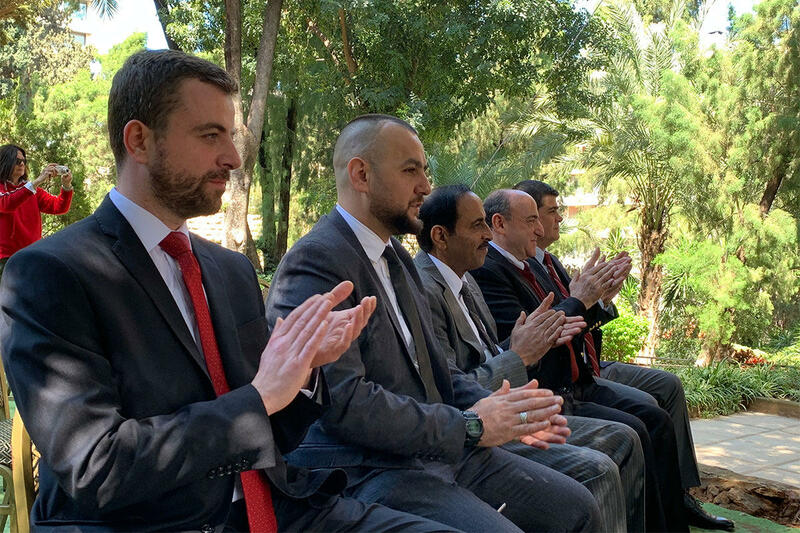 Students in traditional uniform welcomed foreign dignitaries to campus. 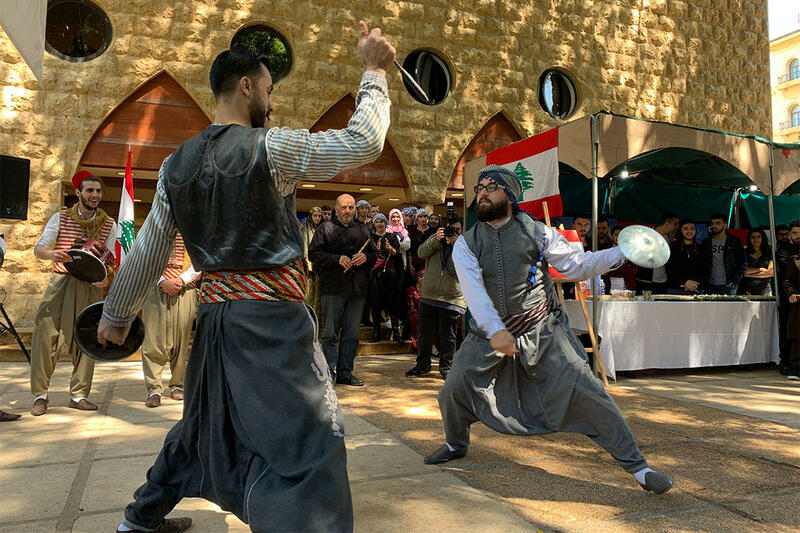 Students from the Syrian Cultural Club hired a professional musical troupe, the Arada, who performed traditional songs and a ceremonious dance with swords. 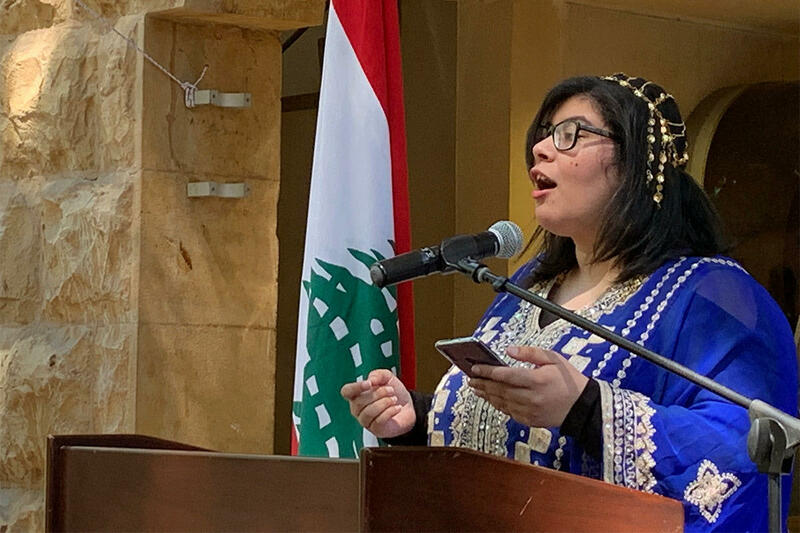 A Bahraini student delivered a poetry reading. 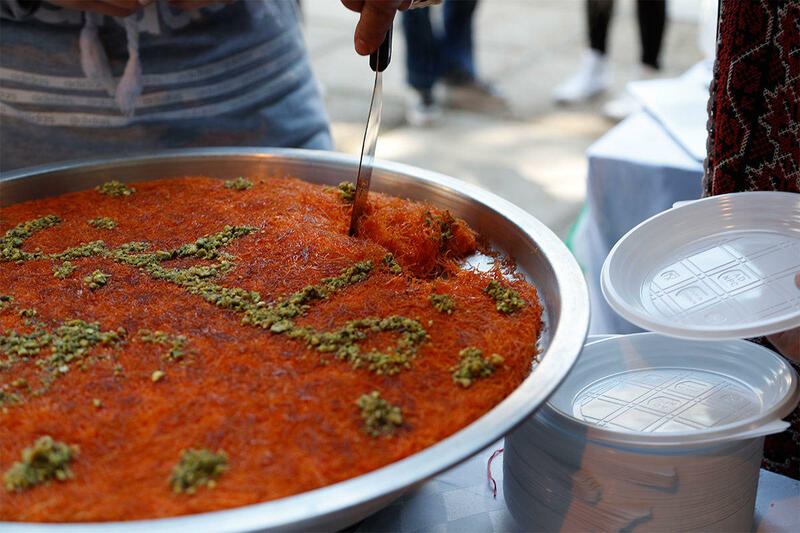 Pistachios embellishing the knefeh dish spell out ‘Palestine’ in Arabic. Saudi Ambassador Walid Bukhari (center) joined students at the booth where traditional incense filled the air and coffee was served. Mouthwatering Armenian dishes were served alongside displays of the Armenian alphabet.